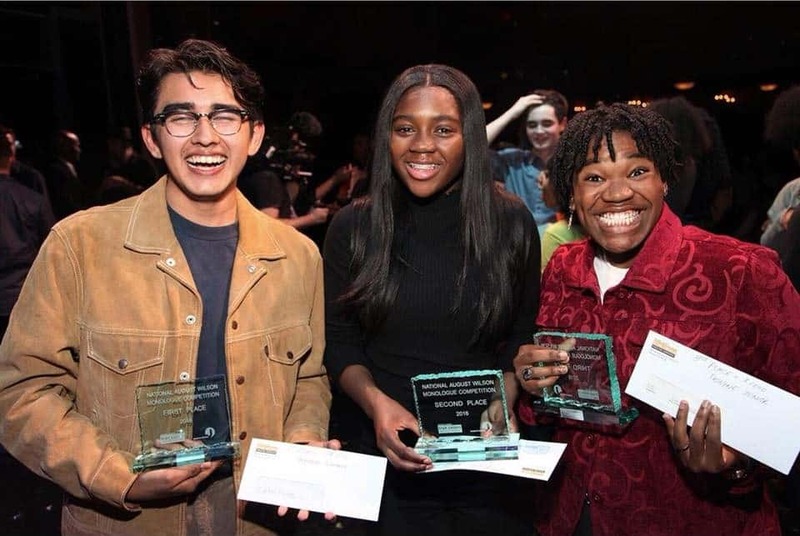 The National August Wilson Monologue Competition is a free arts education program, a celebration of the words of the playwright August Wilson, inspiring high school students to find and express themselves through theatre. The National August Wilson Monologue Competition was founded in 2007 by Kenny Leon and Todd Kreidler at Kenny Leon’s True Colors Theatre Company in Atlanta. The national program is produced in collaboration between Kenny Leon’s True Colors Theatre Company and Jujamcyn Theaters. The program is now in twelve cities nationwide, including Atlanta, Boston, Buffalo, Chicago, Los Angeles, New Haven, New York, Pittsburgh, Seattle, Dallas, and Greensboro. August Wilson was an American playwright. His literary legacy is a series of ten plays, The American Century Cycle, for which he received two Pulitzer Prizes for Drama. Each is set in a different decade, depicting the comic and tragic aspects of the African-American experience in the 20th century.